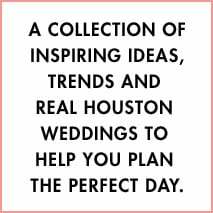 They’re slated to be featured in the May 5 Houston Chronicle as the “Business of the Week.” And today they’re our bridal couture pick of the day! Check out The Princess Bridal’s runway run at the I Do! Bridal Soiree @ InterContinental, featuring ruffles aplenty, prettiness in pink, and lovely long veils. Designers on display include Blue by Enzoani, Allure Couture and Essence of Australia. Beautiful, aren’t they? Buy I Do! Tickets, Win Dinner for Two! What’s more delicious than fantasy wedding tablescapes, Italian delicacies, fine wine and bubbly, live entertainment, and more than 35 of Houston’s finest wedding experts and vendors gathered under one gloriously regal roof? All that and a $100 dinner for two at one of Houston’s hottest dining spots—The Bird and the Bear Bistro, from the fine folks at Ouisie’s Table. A word about Ouisie’s Table—this beautiful Highland Village restaurant, composed of numerous indoor and outdoor dining and celebration spaces, is one of our favorite spots for rehearsal dinners, bridal lunches, day-after brunches, and yes, intimate, elegant, cuisine-focused weddings. While each room has its own unique personality and ambiance, Ouisie’s service and upscale Southern-with-a-twist food are uniformly flawless. Which is why we were so excited when Ouisie’s debuted its exciting new Westheimer bistro, The Bird and the Bear, last fall. Never been? Think chic black-white-and-red room, bistro fare (escargot, foie gras, roasted salmon), and plenty of Ouisie’s Southern influence. Want to win? We’re giving away dinner for two (a $100 value), to one lucky bride who 1.) snaps up her I Do! Bridal Soiree @ The Corinthian tickets by midnight tonight and 2.) *likes* us on Facebook. All brides who have purchased I Do! tickets between start of presale and midnight tonight are entered to win. Winner announced Wednesday on Facebook. Good luck, brides. And we look forward with great pleasure to meeting you on Thursday! GIVEAWAY: Buy I Do! 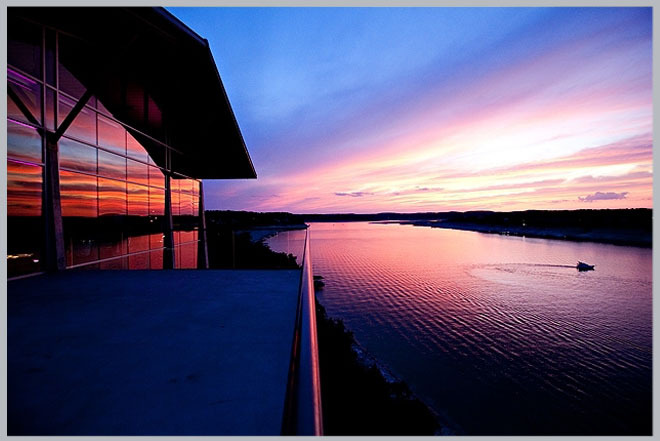 Tickets, Win a Lakeway Resort Getaway! The Thursday, April 26, I Do! Bridal Soiree at The Corinthian is less than a week away, and we are so excited about our newest I Do! event, we can hardly stand it. The drama and grandeur of The Corinthian, the magnificent tablescapes, the incredible Jackson and Company cuisine and cocktails, the live entertainment and luxurious lounge ambiance…seriously, we are all aflutter. So…to share our excitement, we’re giving away a BLISSFUL WEEKEND ONE-NIGHT STAY FOR 2 at Austin’s serene, scenic and spa-tacular Lakeway Resort to one lucky I Do! @ The Corinthian attendee. Our prize includes luxurious king-room accommodations plus breakfast at tranquil Lakeway Resort, home of the superb San Saba Spa. Simply purchase your I Do! @ The Corinthian tickets by midnight tonight, Friday, April 20, and *Like* us on Facebook (if you haven’t yet), and you are automatically entered to win. All brides who have purchased presale tickets and have become a FB fan by tonight’s deadline are entered. Our randomly selected winner will be announced Monday on Facebook. Good luck…and we look forward, with great anticipation, to meeting you @ I Do! 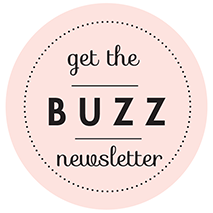 What’s New at the New I Do? The I Do! Bridal Soiree at The Corinthian is I Do! like you’ve never seen it before. Which, for the 35-plus top-of-the-line vendors in attendance, means a chance to showcase their best in a whole new light. Of course, you’ll have to wait ’til those storied doors of The Corinthian open on April 26, to see just what we’re talking about. Until then, here’s a little sneak peek at what some of our experts plan to unveil! Wedding consultant extraordinaire Jo Ann Schwartz-Woodward, of top Houston wedding-planning firm Schwartz & Woodward, will be speaking to brides about the custom wedding-planning services for which Schwartz & Woodward is known—and will be offering a free vendor consultation (valued at $1,500), to provide couples with “vendors in every single category that they would need to plan a memorable wedding,” Schwartz-Woodward says. Visit award-winning videography studio Sculpting With Time to speak with founder Alex Douglas about the “Wedding Cinema” package, which includes a highlight video and feature-length film, shot with Hollywood-quality equipment by up to three cinematographers. And take advantage of a 10% show discount! On the hunt for engaging invitations? Along with other gorgeous invitation and stationery designs, Vivian Jade will be showcasing their fun and innovative Sweetheart Pocket invitations and sending brides home with a Sweetheart Pocket sample. Brides with a sweet tooth will no doubt want to indulge in treats from Who Made The Cake, which will show off stunning new cake styles, along with Cake Shots—“the hot new wedding favor,” Who Made The Cake’s Nadine Moon tells us. Though they won’t debut until shortly after the I Do! show, photographer DC Stanley’s stylish new photo albums are destined to be big with brides—so make sure to ask about them at the DC Stanley display (and be sure to pick up a $100 DC Stanley gift certificate while you’re at it). Photographer Steve Lee of top Houston photography studio Steve Lee Weddings will catch the attention of many a bride with dazzling 40-by-60-foot canvas wraps, so be sure to keep an eye out for them! Also be sure to take advantage of Steve Lee Weddings’ special I Do! @ The Corinthian package, which includes two portrait sessions, two-photographer wedding coverage, edited images and a wedding book, all at a very special show-only discount. Crazy for couture? Look for mingling models sashaying about The Corinthian sporting beautiful gowns and accessories from top Houston bridal salons, including breathtaking Carolina Herrera designs from Belle Mariée Bridal, and hotly anticipated Amsale fall 2012 styles from Mia Bridal Couture. These are but a tiny handful of the treasures you’ll uncover at I Do! @ The Corinthian. We’ll be posting, tweeting and buzzing about more in the next couple of weeks, so stay tuned—and, most of all, make sure to snag tickets to this intimate and extraordinary show before they run out! Ivory Bridal Atelier’s Badgley Mischka spring 2012 trunk show, today through Saturday, is going to be a knockout. At last check, there were a scant few appointments left, but they’re filling fast. Schedule yours now, then savor this little taste of the stunning Badgley Mischka wedding dresses Ivory’s got in store for you. And for more gorgeous Ivory Bridal Atelier bridal gowns, check out this clip from the salon’s sashay down the I Do! @ InterContinental bridal couture runway. Beautiful, beautiful, beautiful.